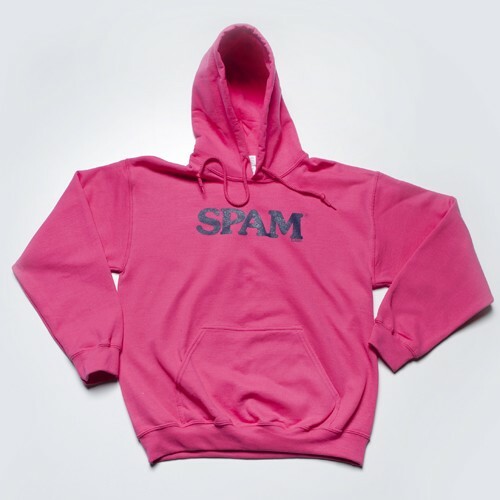 Bright pink hooded sweatshirt with SPAM® Brand printed in navy on front. Very fun! Available in adult sizes S-3XL.